Cedar Cottage operates licensed school-age childcare at 7 different locations. Our programs offer a safe, inclusive and fun environment for children age 5 to 12 years. A wide variety of activities will be planned with and for the children that include cooking, games, sports, imaginative play, arts and crafts. Outdoor and active play is offered daily. Registration takes place April 1st of each year. Come to directly to the Neighbourhood House to get your child registered. Cedar Cottage operates full day care during the summer for who have completed Kindergarten up to 12 years old. A wide variety of activities will be planned with and for the children. Outdoor and active play is offered daily as well as outings to local pools, parks, museums and other attractions. French Camp – We offer 2, one-week French Camps. Outings and activities will be lead in French to help your child “get ready for school”. Intended for children who are already enrolled in the French Immersion Program. 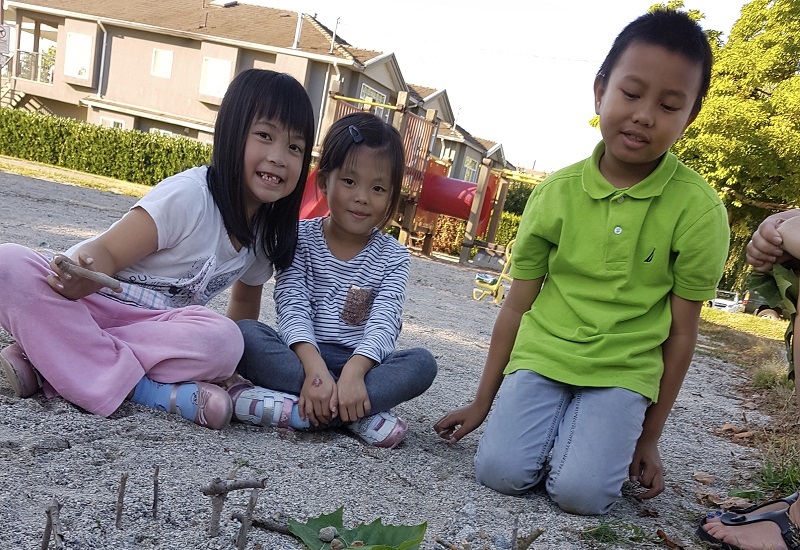 Cottage Crew is a two day a week afterschool program that provides a safe, welcoming space at the Neighbourhood House for children 6-12 years. Xplore is an out-trip based program for 8 to 13 year olds. Operating 2 days per week in the summer and during professional days during the school year.